Have you put off having your pet altered because it's too expensive? Now's your chance to have your dog or cat spayed or neutered for just $20. The Mobile SPCA has received a ninety-five thousand dollar grant from PetSmart Charities to give vouchers to people who need to have their pets altered. You can pick up the vouchers at the Mobile SPCA starting tomorrow. 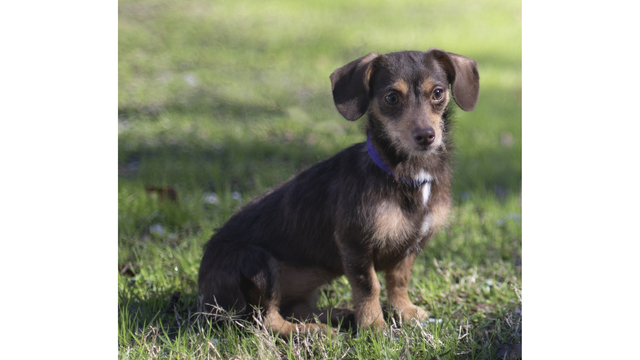 The SPCA is located at 620 Zeigler Circle in Mobile. You then take the voucher to a participating veterinarian. For more information, visit www.mobilespca.org. Here are specifics about the program. If you are a resident of the City of Mobile or Mobile County, you are eligible for a SNAP voucher for three of your unaltered pets. There will be a $20 co-pay for each surgery and the Mobile SPCA will reimburse the participating veterinary clinic the remaining cost of the surgery. 1. Vouchers must be picked up at the Mobile SPCA office, 620 Zeigler Circle West, Mobile. They will not be mailed. At that time, you will be provided a list of participating veterinarians. 2. A limited number of vouchers will be given out each month. 3. You do not pay the Mobile SPCA your $20 co-pay; that is paid directly to the veterinarian when you take your pet in to be altered. 4. There is a maximum of three SNAP vouchers per family. This amount may be decreased at any time depending on how many vouchers are being given out and how quickly. $10 Off coupons are available. 5. The vouchers are to be used only for OWNED PETS. However, a limited number will be given to help feral cats. This option can be discussed with the office. 6. When you come to the office to claim your voucher, please bring your pet's rabies certificate with you, along with a driver's license or proof you are a resident of Mobile. The office will make copies of both to attach to the voucher to be given to the veterinarian. It is your responsibility to bring your rabies certificate. You can get a copy from your veterinarian. Mobile SPCA staff will not call your veterinarian to get that for you. 7. The vouchers will have an expiration date. This will ensure they are used in a timely manner and allow the Mobile SPCA to track spending and how much more money is available in the grant. DUE TO THE STAGGERING NUMBER OF UNREDEEMED VOUCHERS LAST YEAR, THERE WILL BE NO EXTENSIONS GRANTED. If you do not use the voucher before it expires you must come back into the office for a new voucher. There will be absolutely no extensions given. 8. The vouchers will be provided until they are all gone/until the grant money has been depleted. 10. The owner will contact a participating clinic and make an appointment for the surgery. 11. Some clinics require annual vaccines, flea control or additional medications or procedures - OWNER MUST ASK THE CLINIC ABOUT ALL FEES BEFORE SURGERY so there are no surprises at checkout. The owner is responsible for a $20 co-pay at the time of the surgery and any additional fees including additional costs if the pet is pregnant or in heat. 12. Appointment necessary. Present voucher and rabies certificate at time of appointment. 13. Be sure to ask vet for pre-surgery instructions. Bike-sharing service Gotcha to Mobile? VIDEO: Man accused in shoot out with police blows kiss at assistant D.A.